There are many open source applications in Linux available for graphic designer or image editing purpose. Some of them, I have mentioned below and I will come with detailed description about them in later articles. Inkscape is an open source application for graphic designers. It can replace to Adobe Illustrator or Corel Draw. Actually, Inkscape is a vector graphics editor. Vector graphics means resolution is independent on description of the actual shapes and objects in the image. Inkscape supports many advanced features like alpha blending, clones, markers, object creation (Paths, Rectangles, 3D boxes, Stars/Polygons, spirals, clones, text), Object Manipulation (moving of object), styling object (fill, stroke fill, opacity), operations on paths, text support, Rendering etc. Blender is an open source tool which mostly used for 3D graphics design, for creating animated films, interactive 3D applications and games etc. 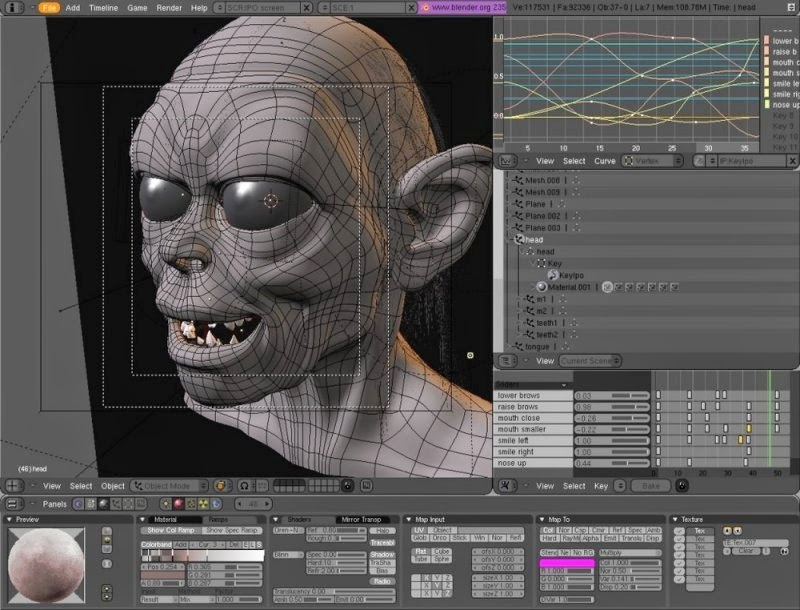 I will prefer this tool if you want to create 3D animation film or games. Blender is available for Linux as well as Windows. Blender is providing wide variety of advanced features like 3D animation creation, smoke simulation, provides game engine, python scripting tool for game logic, importing/exporting from other formats, task automation and custom tools, camera and object tracking, 3D rendering, procedural and node based textures, as well as texture painting, projective painting, vertex painting, weight painting. Blender is mostly used open source tool for graphic designing. ImageMagick is a open source tool used to create, edit, compose, add special effects in image, adjust image colors, draw lines or polygons, add text in image and many more. ImageMagick is generally used like Adobe Photoshop to edit and add special effects in image. It is not having functionality that much of adobe photoshop but it is good to use as an open source tool. ImageMagick can help us to do things like image format conversion, transform, draw, add special effects, animations, add texts and comments, overlap an image over another, motion picture support, large image support. GIMP stands for GNU Image Manipulation Program. It is a good graphics manipulation package. GIMP is mostly used for image editing or while adding special effects in image. GIMP has many features like photo enhancement, digital retouching, hardware support, file formats. It is available in Linux. Windows, Sun Soalris, Mac OS X, Free BSD. Click here to know more about the GIMP. A Physically based simulation and animation system. AERO is a simulation program based on rigid body systems.